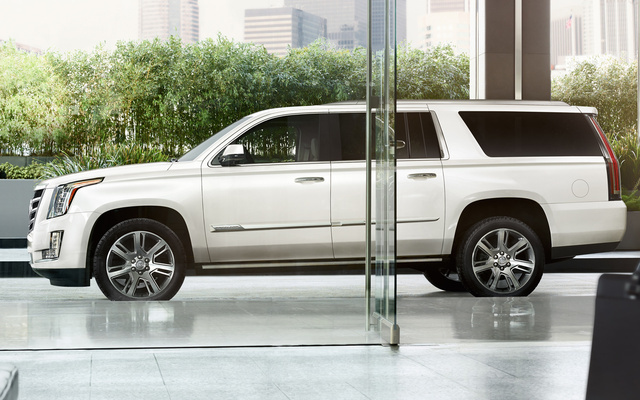 CarGurus has 7,130 nationwide Escalade ESV listings starting at $2,995. Believe it or not, there are those who might find Cadillac’s 2016 Escalade a wee bit short on toting totals. For those sultans of space, Caddy’s full-size luxury SUV is again slated to return in its plus-size ESV edition for the upcoming model year. This extra-length 7- to 8-passenger posh-mobile sports an added 14 inches of wheelbase (130 inches) and an additional 21 inches in overall length (224.3 inches), dimensions that may present a few parking challenges. Cargo acreage, however, increases from the decent-enough 94.2 cubic feet in the standard-size Escalade to a truly cavernous 120.5 cubes with the rear seatbacks folded, in both cases, while passenger room increases to truly palatial parameters. Like its smaller sibling, the 2016 Escalade ESV is expected to return in 4 trims: the Base Escalade ESV, the abundantly equipped Luxury, the uber-plush Premium, and the flagship Platinum. Also in keeping with tradition, all trims are again scheduled to be delivered in the standard rear-wheel-drive (RWD) configuration, while driver-selectable 4-wheel drive (4WD), boasting a 2-speed transfer case, remains optional across the lineup. Also like the standard-size Escalade, which, it should be noted, is reviewed separately, the ESV is expected to boast a few upgrades for 2016. Among these are 4 new exterior color choices and some upgrades to the Driver Awareness package. A few improvements to the Cadillac User Experience (CUE) infotainment technology are also scheduled, including the addition of a new Advanced Diagnostics driver information system integrated into the dashboard-mounted 12-inch monitor. Furthermore, the rear-seat DVD/Blu-ray entertainment system that’s standard in the Premium and Platinum iterations also gets some tweaks for the upcoming year. Among the more noteworthy bling that returns for 2016 ESV variations are a standard power liftgate and the power-folding third-row seats that debuted in the 2015 edition. And of course, the second-row bench seating (allowing a total of 8 occupants) will once again be available in place of the standard 7-passenger second-row captain’s chairs. Also returning to the 2016 Escalade ESV lineup is the ubiquitous 6.2-liter Flex-fuel V8 powerplant that now mates exclusively with an 8-speed shiftable automatic transmission. The 8-speed automatic was introduced late last year and gives the V8 420 hp and 460 lb-ft of torque, to the tune of 15 mpg city/22 highway/18 combined in RWD ESV versions, and 14/20/26 in 4WD iterations. Oh, and the upcoming edition is expected to retain its current 8,100-pound maximum towing capacity. Again for the upcoming year, look for all Escalade ESV trims to boast such standard appearance goodies as 20- or 22-inch alloy wheels, a roof rack, auxiliary transmission cooling, a trailer hitch and wiring, the power-opening liftgate, and heated reverse-tilt power-adjustable mirrors. The Luxury and higher editions will also return toting a standard power sunroof. Inside, this plush behemoth is slated to return sporting leather upholstery, heated (and ventilated) front seats, heated second-row seats, power-adjustable pedals, cruise control, and a heated, power-adjustable tilting and telescoping steering wheel. Of course, a remote garage door opener, a rear-view camera, memory for driver's settings, and 3-zone automatic climate control are also reprieved for the upcoming model year, as is standard remote engine start. Techno-gizmos, meantime, include such standards as upgraded-for-2016 Bluetooth-interfaced CUE infotainment functions with the improved 12-inch display, with all of this bolstered by OnStar hands-free telematics, GPS navigation, and Bose premium audio featuring a single-CD/MP3 player, 16 speakers, satellite radio, HD Radio and an auxiliary audio input. Higher trims, by the way, remain sporting such extras as power-folding second-row seats, the upgraded-for-2016 rear-seat DVD/Blu-ray entertainment screen(s), massaging front seats, upgraded cabin accent materials, and cooled center-console storage. As is traditional, lower trims in the 2016 Escalade ESV stable will remain eligible for a number of features standard for the higher trims as options, while power-folding side-steps with approach lighting are slated to remain available to the Premium and Platinum trims once again. Standard safety equipment adorning all 2016 Escalade ESV variations is expected to remain 4-wheel antilock brakes (ABS), traction and stability control, front side-mounted airbags, three-row head airbags, and Caddy’s unique front center-mounted airbag. Additionally, daytime running lights will return lineup-wide, as will the OnStar emergency alerts and communications, a post-collision safety system, turn-signal-integrated mirrors, and a remote antitheft alarm. Furthermore, upper-echelon 2016 Escalade ESV iterations are slated to retain such added safety features as a head-up windshield display, blind-spot alerts, lane-keeping assistance, adaptive cruise control, front and rear collision mitigation braking, an upgraded-for-2016 “around-view” camera system, high-intensity-discharge headlights, and GM’s touted Safety Alert Seat with vibrating bottom to alert drowsy drivers of unsafe operating parameters. The government, meantime, gives the current Escalade ESV its best 5-star safety rating, while the sheer size of this beauteous brute obviates testing by the Insurance Institute for Highway Safety (IIHS). 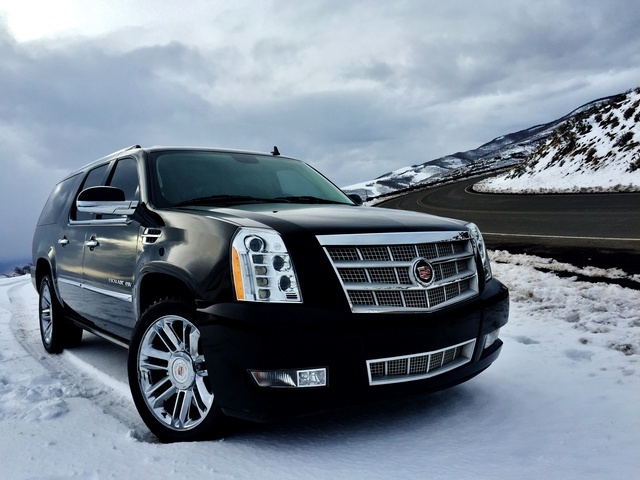 Finally, look for the 2016 Escalade ESV to begin adorning dealerships in the fall of 2015, where it will again face-off against Lincoln’s stretched Navigator L.
What's your take on the 2016 Cadillac Escalade ESV? 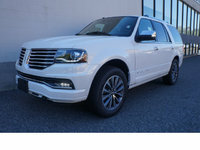 Clay I love this vehicle but if you're looking to use the 4 Wheel Drive, it's the weakest in it's class of this sized SUV's. Users ranked 2016 Cadillac Escalade ESV against other cars which they drove/owned. Each ranking was based on 9 categories. Here is the summary of top rankings. Have you driven a 2016 Cadillac Escalade ESV? What Are The Minimum Requirements To Rent A Car From CarGurus Website? Please email me at Business- Candidate@Outlook.com or Call Me and let Me at 251-285-8469 " Emmanuel".